Fasting. Yuck! The word tends to conjure up unpleasant thoughts of starvation, hunger pangs, light-headedness, low blood sugar, restriction and deprivation. We often have to fast before blood work. We fast before medical procedures like colonoscopies (double yuck!) and surgeries. And fasting is a spiritual cleansing ritual associated with many religions. Nobody thinks “Yeah, I want to fast,” especially those who struggle with overeating. But could intermittent fasting actually help reduce your overeating? The answer seems to be a resounding yes. Aside from reducing your cravings for sugar and processed foods and turning you into an efficient fat-burning machine (making it easier for you to lose weight and maintain your ideal weight), research has confirmed that there are many other good reasons to fast, which I’ll get to shortly. What exactly is intermittent fasting (IF)? IF involves timing your meals to allow for extended periods of fasting beyond the time you are asleep. Research suggests that the most effective fasting schedule involves a fasting period of at least 16 hours.This means eating, for example, between the hours of 11am and 7pm or 12n and 8pm, or any eight hour period you prefer, allowing for approximately three food-free hours before bed. Most people who practice IF skip breakfast; others prefer to skip dinner. During your “feeding window” you might consume two large meals, or two small meals plus snacks, whatever feels right for you. You can practice IF daily, every other day, or a few days per week, whatever suits you and your schedule.There are many different variations from which to choose. When I heard about IF, my first thought was that the concept of skipping breakfast seemed to fly in the face of everything I had learned about good nutrition–breakfast being “the most important meal of the day” and the notion that “skipping meals slows the metabolism.” But it turns out that fasting actually stimulates the metabolism (whereas eating all day doesn’t) and having a longer fast than the typical 8 sleeping hours has immense benefits. And you’re still essentially having break-fast, just later in the day. IF is more of a lifestyle than a diet, especially since there is no calorie counting involved. It’s a way of timing your food intake to optimize your health, weight and longevity. Throughout history, our ancestors had to survive periods of famine. Avoiding starvation and getting enough to eat (while avoiding being eaten) was more often the challenge than overeating. Research suggests that fluctuations between periods of feast and famine are required for optimal metabolic function. The problem today is that most of us are always feasting and never undergo fasting–our bodies are often digesting and processing food for 16 or more hours per day. And unlike our ancestors who were constantly on the move, our marked decrease in daily physical activity combined with an environment characterized by constant food abundance is a recipe for weight gain and obesity. So when combined with daily movement, you mimic the natural fluctuations in food availability with an intermittent fasting schedule, thereby optimizing your metabolic function without actually changing what or how much you eat when you do eat. It is important, however, for health and well-being, to choose the most nutrient dense foods during your feeding window. Unprocessed, whole plant foods are the most nutrient dense: vegetables, fruits, beans, lentils, sweet potatoes, yams, nuts and seeds are both nutrient dense and full of fiber. And just as you would on any healthy eating plan, it’s best to reduce or eliminate your intake of processed foods loaded with flour, sugar and fat and your intake of foods of animal origin. What are the benefits of IF? IF normalizes your hunger hormone, known as ghrelin, and reduces cravings, which translates into weight loss. IF helps promote insulin sensitivity. Poor insulin sensitivity (think insulin resistance and metabolic syndrome) contributes to nearly all chronic diseases. IF increases the rate of human growth hormone production, which slows the aging process and has an important role in health and fitness. IF lowers your triglyceride levels and helps suppress inflammation and fights free radical damage. IF enhances brain function and preserves memory functioning and learning. IF is a way of lengthening your life–scientists have long known that caloric restriction (which naturally happens when you cut the amount of meals) extends longevity. IF has been shown to improve the beneficial bacteria in your gut, which improves your immune function. And less time eating means less hours with sticky, sweet foods on your teeth which has to be better for your teeth and gums. All win-win for sure! In addition to the above benefits, IF makes your day simpler, which reduces stress. IF allows you to eat one less meal per day which translates into less preparation and planning and less expense. And many people who have found it difficult to lose weight on most diet plans find it much easier to lose weight with IF. Is IF appropriate for you? Its important to note that IF is not a diet and is not about periods of starvation followed by binge eating. And IF is not a form of extreme calorie restriction. Therefore, IF would not be appropriate for anyone struggling with an eating disorder like anorexia nervosa, bulimia nervosa, or binge eating disorder or anyone newly recovering from an eating disorder. 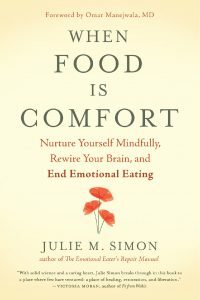 And while many emotional eaters find IF to be helpful in reducing cravings and improving metabolic function, it’s important not to fall into the trap of viewing the feeding window as a license to eat all your favorite comfort foods. With less hours per day for feeding, good nutrition is even more important. It’s best to check with your medical doctor before embarking on any fasting schedule. IF is not something you should carelessly practice. It’s important to pay close attention to how your body feels and to you energy levels. If you have adrenal or thyroid imbalances, are diabetic or have low blood sugar or are pregnant and/or breastfeeding, you should avoid any type of calorie restriction or fasting schedule until your blood sugar or insulin levels are regulated. And if you have recently had surgery, you may not want to try any fasting schedule until you have clearance from your doctor. Take the time to educate yourself further on the many different types of fasting schedules. Intermittent fasting is a powerful way to reduce cravings and overeating, shift your body into fat burning mode, and improve quite a few biomarkers for disease. It’s an evidence-based lifestyle adjustment for taking control of your health and fitness. 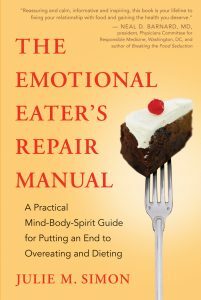 Posted by Julie M Simon, MA, MBA, MFT, psychotherapist and life coach, author of The Emotional Eater’s Repair Manual: A Practical Mind-Body-Spirit Guide for putting an End to Overeating and Dieting, founder and director of The 12 Week Emotional Eating Recovery Program and certified personal trainer. 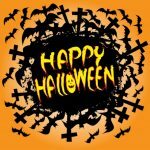 If you have a question or topic you’d like to see addressed in this blog, go to https://overeatingrecovery.com and contact Julie.